How do I Adjust Windage & Elevation on Zeiss Conquest Rifle Scopes? A scope magnifies a far away target. A bullet fired from a rifle flies through the air faster than the speed of sound, which is why you hear a loud bang after a shot is fired. A bullet's trajectory is greatly affected by wind and terminal velocity. Wind can blow the bullet to the left or right in flight, and as the bullet arcs through the air, it will eventually drop when it reaches terminal velocity. To produce an accurate shot, rifle scopes such as the Zeiss Conquest series are equipped with windage and elevation knobs to calibrate the scope to hit the target despite these conditions. To improve accuracy, shooters should learn how to operate your windage and elevation controls to effectively shoot a target. Fire a group of three or four shots at your target. Zeiss recommends a distance of 100 yards to effectively sight in and adjust the scope for windage and elevation. Note the placement of your rounds on the target in relation to the bull's-eye. You might find the shots to the left or right of the bull's eye, or above or below the bull's eye. Adjust the top knob (elevation knob) up in the "U" direction (clockwise) by one click at a time if the rifle shoots low on the target. One click is equal to 1/4-inch at 100 yards. If the rifle shoots high on the target, adjust the knob counterclockwise by one click at a time. Shoot again and note your round placement, then make further elevation adjustments if needed. Adjust the side knob (windage knob) to the "R" (clockwise) direction if the rifle shoots to the left of the bull's-eye by one click at a time. If the rifle shoots to the right, adjust the windage knob counterclockwise by one click at a time. Fire another group of shots then make further adjustments if needed. 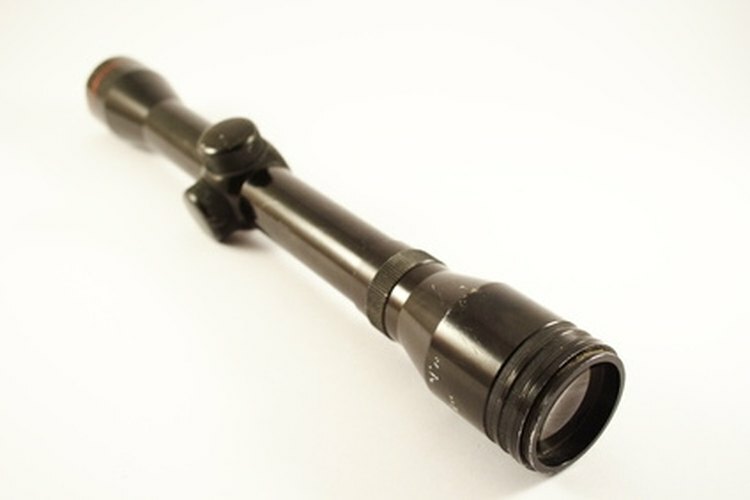 Ensure that the scope is properly and professionally installed for the best results. Never point a weapon at anything that you do not intend to shoot or kill.